Grab him, hold him and stretch his arms, legs and torso up to four times his original size! You can even stretch him and tie him in knots and he will always go back to his original shape! 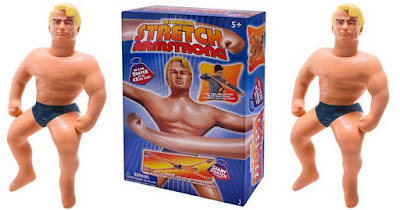 Head over to Amazon.com (Prime Members only) where you will find this Stretch Armstrong Action Figure for just $19.99 (regularly $29.99)!